You will not be disappointed in this completely remodeled, ground floor unit. All the amenities of an upscale home including Granite counters, Travertine tile throughout and over sized walk in, glass block shower. King bed, In suite washer/ dryer and 2 flat screens. Brand new 1500 BTU AC in open living area.Near Shopping, Restaurants and all beach activities. Farmer's Market, coffee shop and beach park 3 blks away. Swim and snorkel right in front of property within our protected outer reef. Observe a myriad of sea life including, sea turtles, dolphins and whales in season! Free nightly sunsets from your private lanai! 2 Propane gas grills for BBQing with a sunset view! "Talk story" with our local residents and meet people from all over the world at the best condominium Maui has to offer! Near by for any questions or concerns! 6 Nights in Paradise with a fantastic ocean view, rainbows too! A guest from Phoenix, AZ United States recommends this vacation rental. Great experience at this condo. The directions given were spot on, including where to park. The condo was clean and had recent updates, including a walk-in shower. Great view of the water and nearby islands, and could hear the ocean waves every night. Easy to walk to near-by farmer's market and stores. The condo grounds were very well kept: saw the property manager every night straightening up the chairs and loungers, and in the morning cleaning the pool. Couldn't ask for a nicer place. From the moment we walked in it 2as like a dream. This place was perfect in every way. I wish my entire 7 days had been spent at this location. KATHLEEN BONNIE E. from United States recommends this vacation rental. My son and his family statues here with two toddlers. They were very happy with their stay. They were impressed how fast the management team was to fix issues in the condo. Well equipped and comfortable. Charlotte F. from United States recommends this vacation rental. Mahalo and hope to see you next time! Sally G. from Valley Center, CA United States recommends this vacation rental. We love to experience the real Maui...the smell and sounds of the ocean right outside our condo, getting away from the tourist commercialism and being able to walk to local shops and restaurants. We also love having the comforts of home...a comfortable bed, full kitchen, updated furnishings, etc. This place had it all and more! We so appreciated the extra touched like lots of pillows, designer fixtures and lights, tile floor, beach gear, etc. Thank you for making a dream vacation come true! So very glad you enjoyed! See you next time! Laurence P. from Gilbert, AZ United States recommends this vacation rental. The unit was fabulous, we have stayed here three times now, everything is perfect, very clean, great ammeties. Great convenient location. Love, Love, Love our repeat guests! Charles V. from Lahaina, HI United States recommends this vacation rental. Excellent all-around stay in the confines of a condo that had everything. Very welcome we felt as we arrived and the condo had everything you could ask for. We were happy it was so close to the main attractions of Maui. The only 2 distances we had to travel were to Mt. Haleakala and the Road Hana. You could walk to a beach or many beaches were nearby. We liked Airport Beach recommended by a resident there. Sea turtles were seen right in front of the condo. Next to us were some nice people that were very friendly most of the week. Our last day a noisy group came in and plopped themselves right in front of our unit. Good thing it was for only 1 day. Parking was tight for our big rental car. Not much room between the lines. Kind of the way it was in that part of Maui. Would definitely book again for the ocean waves sound that you hear as you sleep. Very comforting. David S. from Lahaina, HI United States recommends this vacation rental. My wife and I recently spent a month in this condo and had a wonderful time. Centrally located and very clean.Having been to Maui on several occasions we enjoyed this particular condo more than most other places we have stayed. Great restaurants just a short drive away. Would definitely recommend staying here. Eric P. from Shelton, WA United States recommends this vacation rental. Such a wonderful place to relax on Maui. This place is close to Lahaina which is full of opportunities for adventure. I highly recommend this condo. Mahalo for your kind remarks and don"t forget to ask for our repeat guest discount next time you come! We only stayed in this unit one night but we found it very comfortable with everything we needed. I initially thought I would love the walk out lanai but there was a little too much foot traffic to be comfortable leaving the doors open while we slept. If that doesn’t bother you then I can’t imagine a better place to stay. We were up early one morning and watched the full moon set directly between Lanai and Molokai. Jamieson R. from Lahaina, HI United States recommends this vacation rental. Clean, quiet complex in an excellent location. Convenient to everything. Unit is updated and comfortable. Steps from the water. Has everything you need to cook in. Never had to use AC. Couldn't figure out the TV but we never really needed it! Napili Bay Beach and Ka'anapali Beach very close by - not too crowded, very beautiful, and always had parking available. I'd return to this place in a heartbeat!!! Joann W. from Elk Grove , CA United States recommends this vacation rental. My husband and I have visited Kaleialoha 4 times now, and will continue to return. Lonnie has always been very helpful to us. Condo #113 has everything needed for a couple's getaway and the sunset view from the lanai is to die for. Kitchen is fully stocked and the place has always been clean/welcoming. We'll see you as soon as we're ready to book the next! I have stayed at this property 7 times and in this unit 4 times over the past eight years. I keep coming back for a reason, and the reason is the intimacy of not being in a huge resort. I've gotten to know more than a few people that come out or live in the condos and it's a nice atmosphere. The condo is perfect, well-updated and a home away from home. A recent sinkhole on the property and subsequent repairs were a slight damper to accessing the beach, and hopefully full repairs will be complete by the time I return next year! Lonnie is always easy to work with and she will do whatever it takes to assure your stay is awesome! Mahalo David! See you next time! Jayne C. from SAN JOSE, CA - California United States recommends this vacation rental. We had an amazing time at the Kaleiahoha. It's very quaint. The view was amazing every day. We had a couple of issues with the washing machine, the oven and air conditioner not working but they were address immediately by Lonnie. We will definitely be back. Jeff F. from Mesa, AZ United States recommends this vacation rental. Rose S. from lahaina, HI United States recommends this vacation rental. Beautiful views, great space, clean and convenient, my only complaint was lack of air conditioning in the bedroom made sleep uncomfortable. A guest from Orleans, ONT United States recommends this vacation rental. Lovely unit,greeting was perfect, met great neighbours, room was beautiful and view superb. Nancy P. from San Francisco, CA United States recommends this vacation rental. We had unit #113 which opened onto the grass. We loved seeing the ocean from the patio and living room. Great condo. Enjoyed the pool. Would definitely stay here again! Cathy F. from Winnipeg, Manitoba Canada recommends this vacation rental. This was our 3rd time staying at Kaleialoha & we will definitely be back! Great location. Love watching the ocean & the whales from the lanai. Disappointed about the sink hole & the fence blocking the walkway...but you can't predict Mother Nature. Grounds & pool clean. Lonnie was great to deal with. Mahalo!! Jill & Mike T. from Los Gatos, CA United States recommends this vacation rental. Only a few feet from the waves, relax on your lanai with unobstructed views of humpback whales playing in the ocean between the neighboring islands of Molokai and Lanai wile sipping a Mai Tai. Mahalo for your comments and come back soon! We had a very comfortable stay in unit 113. The view at Kaleialoha can not be beat! The beach access was wonderful and we saw so many sea turtles. Lonnie (the property manager) was a pleasure to work with. This was a very memorable vacation and we are looking forward to a return visit soon! Robert J. from Lahaina, HI United States recommends this vacation rental. Arely D. from Anaheim , california United States recommends this vacation rental. Amazing time! Wonderful place to stay!! Beautiful memories!!! Stanley B. from Calgary, AB United States recommends this vacation rental. The condo lived up to the claims on line. Lauren P. from New Cumberland, PA United States recommends this vacation rental. We had high expectations for our honeymoon and our first trip to Maui and our condo went above and beyond those expectations. The place was well equipped with all the kitchen and bath essentials and we really felt at home. Being on the first floor was perfect for immediate access to the lawn and beach and proved extremely convenient when using the property's grill and lounge chairs. We can't wait to visit again and will undoubtedly book this condo again. It was very much a dream come true! A guest from Forest Hill, CA United States recommends this vacation rental. Loved the views from the living room and lanai. Will definitely be back. A guest from Jamestown, RI United States recommends this vacation rental. A guest from Calgary, AB, Canada Canada recommends this vacation rental. I already reviewed both 115 and 113. They were both well equipped and lovely and we will come back as asap. Harsha D. from Fremont, CA United States recommends this vacation rental. A guest from Racho Santa Margurita, California United States recommends this vacation rental. Alex N. from Ft Worth, YX United States recommends this vacation rental. Very nice modern look unit on the first floor. Recently renovated. Less than 100 yards from the patio to a sandy beach. Patty D. from Florissant, MO United States recommends this vacation rental. we decided 3 weeks in advance of our trip that we wanted to spend time in Lahiana. We wanted to spend 4 nights but because of our last minute plans, only 2 nights were available. However, we made the best of it and were able to spend our other 2 nights in Hana which worked out really well. our only complaints were that we were not extended the lower rate which is given for staying 3 nights or more (we requested more nights than what were available) and that there was not creamer/sugar/coffee in the condo. we arrived late the night before and did not get a chance to shop. But....the coffee and the rates are a very small issue. Overall, the place was great. Very clean, well stocked kitchen and lovely view. we would recommend this location to people traveling to Lahiana. Jennifer & Russell K. from La grange, OH United States recommends this vacation rental. This condo is right off the ocean. it has been recently remodeled, so everything is new. It has a very comfortable bed and a large shower. We enjoyed our stay immensely! Had a wonderful time, great place !!! Our experience was very good, we loved the condo, the amenities, the people, the views, etc. Seventh year in a row AWSOME! Ruth G. from Riverside, California United States recommends this vacation rental. We really couldn't have wished for a better place to stay for our first visit to Maui. It was quintessential Hawaii. Relaxed,not stuffy. Enjoyable staff and guests. Close to the ocean, to shopping, beaches and restaurants. We hope to return soon and I will certainly contact you first for our home away from home. Claudia S. from Nevada City, CA United States recommends this vacation rental. Location was great and easy to find. Wake up in the morning to the ocean at your back door and enjoy your favorite drink on the lani.The kitchen was beautiful and had everything you need. The furnishings were so tropical and the shower was awesome.Close to all kinds of shopping and wonderful restaurants. The Hula Grill was our favorite.I would recommend this condo to all my friends. It was clean and the staff are very friendly and helpful.The grounds are kept up on a daily bases so you enjoy sitting at the ocean floor on a lounger or sit at a table and enjoy the view. Can't wait to come back !!! Thomas R. from Canyon Lake, CA United States recommends this vacation rental. My family and I stayed over the Thanksgiving Holiday for 7 nights. This place was EVERYTHING we expected and an excellent value. The unit had been updated and everything in really nice condition . I even slept on the pullout bed the first night as the sound of the waves was amazing. That was the most comfortable couch bed I have ever slept on !!! I cooked on Thanksgiving and it was awesome being able to look at the ocean while cooking. My kids loved having the grass area to play in front . One really nice feature of the unit was having dimmers on all the light switches so you can have a little light or bright lighting. We will be coming and staying here again at unit # 113 !!! Brad S. from Elk Grove, CA United States recommends this vacation rental. Clean. Right on the ocean. Price is fair. Great location. Steve A. from United States recommends this vacation rental. We stayed here a week and had a wonderful time. The Condo is comfortable and nicely furnished and stocked. The location and views is fantastic. I loved being on the ground level and have the ability to walk right out to the ocean. I would definitely stay here again. I've rented this unit three times, and other units at Kaleialoha Condominiums over the past six years, and I've never been disappointed. 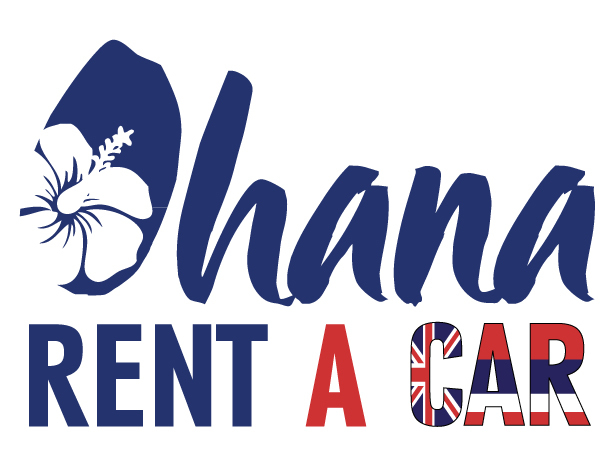 Lonnie at Kaleialoha Property Rentals is top-notch, and she always ensures that my condo, and my stay are wonderful and worry-free! Unit #113 is beautifully renovated, with marble counter tops, tile floors and a walk-in lava stone shower. Some of the best snorkeling on the island is right in front of the condo, and the whale watching is supreme right from your lanai! I have already booked for next year! The closeness of attractions, markets and eateries make this one of the best locations on the island! Mahalo! See you next year! Janet L. from Rohnert Park, California United States recommends this vacation rental. We adore the setting! This was our 5th time coming to Maui and we stay at the Kaleialoha condos!! We will return!! Julie C. from Findlay, OH United States recommends this vacation rental. This condo had everything you needed to make your vacation perfect. The washer and dryer was a nice bonus. The kitchen was fully stocked and had high end appliances. The location was perfect. The views were amazing! I saw sea turtles everyday and even got to swim with them right outside the condo. It was very quiet and the people that live/stay there were very friendly and helpful. The owners even provided water toys, coolers, chairs, beac towels and maps. I will stay here again. This little gem is not as big as the other resorts which made for a perfect vacation! Janie S. from Houston, TX United States recommends this vacation rental. This was our first trip to hawaii and this condo met all our needs. We loved waking up and seeing the beautiful blue waters. We went snorkling, saw a laua, drove the road to Hana and visited the tropical plantation. So much to see and do and so little time. Gary S. from Costa Mesa, CA United States recommends this vacation rental. Beautiful place! Loved my stay there!! Condo 113 was perfect...nice and clean. This is my 4th time staying at Kaleialoha and plan to go back again next year. Well kept grounds, easy parking, nice pool. The views are unbelievable! Thank you, I would recommend this place to anybody. Flower H. from stockton, California United States recommends this vacation rental. My husband and I came for the 1st time to Maui to celebrate our 20th anniversary. We found the condo online, read the review,s and booked it for a week. You never know until you arrive yourself if it's really what you had hoped for. We were so happy and excited, the condo it self was clean and exactly as described, the grounds were also clean and well maintained. We used the BBQ's and they were also clean and well maintained. It was quiet, peaceful and everyone was very friendly. We saw turtles every day and even rented snorkel gear and swam with them right in front of the condo. We will definitely be back!!! Amaury S. from Lahaina, HI United States recommends this vacation rental. This felt like I moved to Hawaii and was coming home everynight. Will always want to stay here and only here. 5 star treatment. Room wifi, washer & dryer fridge and right in front of the ocean morning views. My slice of heaven. Rebecca H. from Santa Clarita, CA United States recommends this vacation rental. We had a great time. Our condo was clean and updated and really nice, the location was absolutely perfect. Lonnie, who arranged our stay, was just terrific with any of our needs! We have stayed in the best hotels on the island, but will most likely be booking here from now one. Highly recommend this place and location! Steven H. from Bakersfield, CA United States recommends this vacation rental. A guest from Camdenton, MO United States recommends this vacation rental. Great two weeks. Loved watching the whales and sea turtles from the lawn. Beautiful remodel. Ron A. from Spokane Valley, WA United States recommends this vacation rental. This was our second stay at this location. We stayed in #112 last May and had such a good time we had to come back when the whales were here. I cannot imagine a better location to stay on Maui or anywhere else for that matter. You have an unobstructed view of the ocean and only 15 steps to the water. This unit was recently remodeled and was perfect in every way. We also came to Maui with four other people. The six of us had the lower three units on the northeast corner. I love to snorkel and spent alot of time right out front playing with the turtles, fish & monk seal that decided to swim with me one day. So, if you want to relax and have the best time of your life with very friendly people (the office staff & other guests included) this is the place to stay. Why rent a room in a big complex for more money, less amenities, no beach out front, waiting on the elevator and grouchy people when you can stay here. Each unit has boogey boards, snorkel equipment, towels, beach chairs, ice chests, binoculars---the list is too long to mention what these units are stocked with to use during your stay. Our unit even had many spices, condiments, cooking oils, coffee, plus many more things to even list that we used during our stay. These were all left by prior tenants, in addition to the items that we left behind for someone else to use. We were also able to walk to stores, shops & farmers market from this location (very short distances). The only sad part of our trip was having to leave this location. All six of us are now looking forward to planning our next visit and the "PUPU" parties they have here. Aloha for now, Ron & Marcia. Robin & Michelle S. from Blaine, MN United States recommends this vacation rental. My wife and I stayed the first two weeks in March 2013 in unit #113 and it was Awesome!! We have already booked three weeks next year. The location is walking distance to a Farmers Market, Fish Market, and grocery store. Many mornings were spent Whale watching from our patio. Jack & Marilyn B. from Mills River, NC United States recommends this vacation rental. Our unit was all newly refurbished! All new appliances including coffee maker, toaster and blender. Washer and dryer were great - upscale and very convenient. We loved being able to sit on our lanai and watch whales spout and breach and the spectacular sunsets! Perfect location for all activities or just walk off the lanai to the ocean wall (40 ft) and soak up the sun. We'll be back!! Greg C. from San Bernadino, CA United States recommends this vacation rental. Loved the unit, would stay again. Outside is quite dated, but the condo was remodeled well. Michelle M. from Centralia, WA United States recommends this vacation rental. We had a great time! Everyone was so friendly. Great location. Colin G. from Toronto, ONT Canada recommends this vacation rental. #113 is a beautiful, newly renovated unit with all of the creature comforts of home and more. The ensuite washer/dryer was a bonus. I loved watching the turles playing in the surf. The pool was private and very well heated; a great place to relax at the end of a day of exploring. While I would have liked to have been closer to the airport, the location was very good, with proximity to beautiful beaches and shopping. I'm definitely coming back! Renee W. from San Jose, CA United States recommends this vacation rental. Loved, Loved It! Best Turtle viewing I can imagine! Katie F. from Battle Ground, WA United States recommends this vacation rental. We were expecting a nice place, when we got there, those expectations were blown out of the water. The condo was well kept, clean and perfect for a newlywed couple. We were so happy with the rental and very glad we decided to stay here. We will be recommending this condo to friends and family that plan on staying in Maui. Thank you for such a wonderful stay! Sunset dining every night on your own patio over looking ocean. Valerie M. from Sacramento, CA United States recommends this vacation rental. I will stay in this unit hopefully every year !! Newly remolded beautiful kitchen & bathroom!! What a difference to stay on the first floor with the ocean yards away !! Grill your dinner while watching the sunset !! No stairs or elevator between you & ocean. The turtles are just outside your patio door hanging around the rocks, I swam with one!!! Good Restaurants close by but we had the best oceanfront seat to watch sunset at our own place. You will Love it !!! Jami P. from Cincinnati, OH United States recommends this vacation rental. Our condo was AMAZING! When we return to Maui, I will not stay in any other place. It was a great price and had everything we needed! There was even spices and oils for cooking left! Condo 113 is better than the pics. Luxurious, great view, perfect. It was a great location too. Snorkeling right outside the condo was amazing. I swam with a turtle every time I went out! There are also boards, noodles & binoculars. There are not enough words to describe how wonderful our stay was. Can't wait to be back! AWSOME back in 2014 for the sixth year,everything FIRST Class! We had a wonderful two weeks in this awesome condo. Had everything we needed and more. Tastefully furnished, well stocked kitchen and also beach towels, ice chests, boards for the water. We are already rebooked for the spring!! A guest from Pasadena, California United States recommends this vacation rental. Everything was new and clean since the unit had just been completely remodeled. I loved the tile floors - no carpeting anywhere! I'd stay here again! A guest from Hamden, CT United States recommends this vacation rental. We're definitely going back here! John V. from Chilliwack, BC Canada recommends this vacation rental. Unit #113 was everything we were looking for. The place felt clean and fresh which is hard to do in a humid environment. The updating an renos made it that way. The bed was very comfortable. The kitchen was classy and had all the equipment necessary. The towels and bedding were of good quality. Felt pampered at that unit. Great location. The grounds, bbq, ocean side chairs all immaculately kept and organized. A guest from Rancho Cordova, Ca United States recommends this vacation rental. The condo was beautiful and we loved the ocean front views. It was always very quiet and it was nice to be in a small condo complex with fewer people around. It was close to everything without being in the middle of the crowds. The only downside was the parking. Since there is strictly only 1 parking space per unit, we were not able to have visitors, which was very disappointing since we were in Maui for a small family wedding and wanted to share the beautiful views from our condo with other family members who were staying elsewhere. A guest from Spokane, WA United States recommends this vacation rental. We enjoyed our stay in #113. It was very clean and newly remodeled with a well outfitted kitchen. We didn't cook very much but all the supplies were there. I was a little disappointed when we made the rental that we were on the ground floor but actually it turned out great. The apartments are small and having the lawn spread out in front of our unit made it seem more spacious and less confining. Our friends had two units upstairs so I could compare. So I wouldn't hesitate to rent here again. There were only a couple of things that I might make things even better. The sheets for the king bed were severely pilled and I switched them out for two smooth queen flat sheets which I found in a drawer which were descent. Secondly the mattress was messed up from overuse and needed to be replaced. There was a large lump down the middle which made it higher than the sides of the bed. So it took me a while to get comfortable at night. My understanding is that there is no set schedule to replace mattresses so I guess whatever works for the owners must work for the renters. I imagine though it must screw up your back if you're sleeping there for a few weeks. We loved the sound of the waves and the soft breeze from the bedroom fan at night. Oh and the toilet makes noise and spontaneously starts to run for no reason. I imagine that the building is getting older and the plumbing may have some issues. We really did enjoy our time here and would definitely rent again. It was extremely reasonable for a february rental in Maui. Robert A. from Riverside, CA United States recommends this vacation rental. Firstly, the property managers, Lonnie and Kathy, were the most welcoming and most responsive hosts we have ever met. Secondly, the #113 condo was beautifully remodeled and furnished, clean, comfortable, and even equipped with binoculars, books, cooler, beach chairs, beach towels, etc. Thirdly, the unobstructed killer view of the ocean, waves, blue sky, and the neighboring islands were breathtaking. We watched whales, sea turtles, rainbows right at the patio!!! Fourthly, it is conveniently surrounded by farmers market, great restaurants, and convenient store. It is the best vacation rental we have had ever. Will recommend Keleialoha condo #113 to anyone. A guest from Redding, CA United States recommends this vacation rental. This condo was Awesome! It had everything we needed for our stay. We plan on staying here again next year. Cathy S. from Rio Linda, CA United States recommends this vacation rental. Loved this condo. It was great having everything you could imagine in the kitchen.. we enjoyed the 10 day stay and plan to return next year!! Thank you Lonnie..